For this week's Throwback Thursday I have added many pictures from Slam Dunk Festival, which All Time Low headlined in 2013. 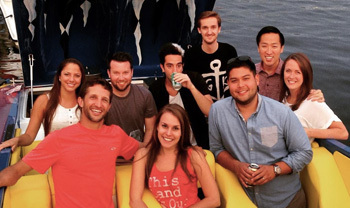 As for the video of the week, watch their performance of Backseat Serenade. The band is currently taking a break from touring and Alex has posted a video in which you can see him and Rian playing music. Watch it below. Many pictures which have been posted on various social networks since the band came back to the United States were added to the gallery. Check out the recap below. Yesterday morning, BBC Radio 1 called Alex, who was in his apartment in Los Angeles to take a shower on air. His challenge was to sing All Time Low songs in the shower, including Something's Gotta Give, Kids In The Dark and Runaways. Listen to him at 27:27 in the podcast below. 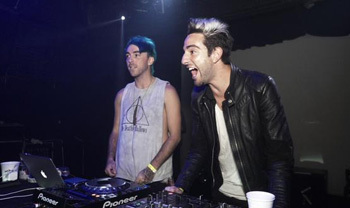 Yesterday night, Alex and Jack were DJing at Echoplex for Taking Back Tuesday Emo Night. You can watch a video of them playing My Chemical Romance's Helena below. A few pictures from last night were posted on Twitter, and they were added to the gallery. As we had already announced it a few months earlier, All Time Low will head for a US tour this autumn with the band Sleeping With Sirens, and One Ok Rock. 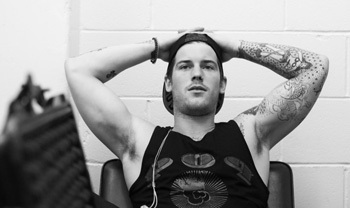 This tour is entitled the Back To The Future Hearts Tour. Check out the dates below. All Time Low will be back in the Netherlands in August for the festival Lowlands. Watch the video which Alex shot for the Dutch fans below. 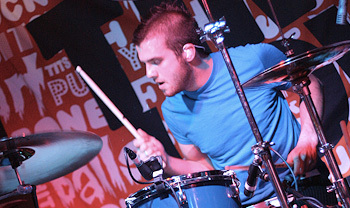 For this week's Throwback Thursday I have added a few pictures from the United Kingdom tour which All Time Low did with Cobra Starship back in 2008. As for the video of the week, watch Alex perform Remembering Sunday below.